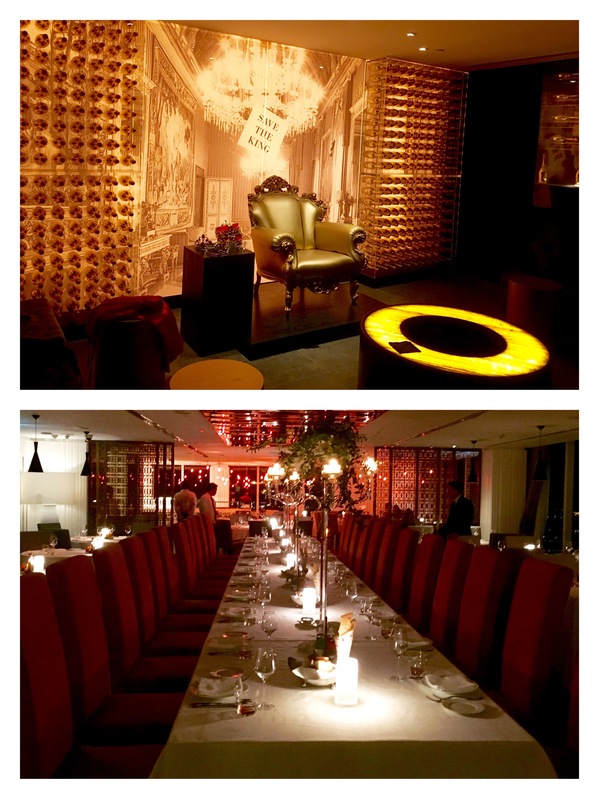 I was recently invited to a ‘Bloggers Night’ at Tre Restaurant, Lounge & Bar. The concept of Tre is amazing. It has three floors spread across 49th, 50th and 51st floors of the Nassima Royal Hotel, Sheikh Zayed Road. It is one destination but offers three kinds of experience. Our journey began from Tre Lounge on the 50th floor. The lounge is classy, sleek and elegant. It has an incredible view of Sheikh Zayed Road. We were offered cocktails and mocktails of our choice. I opted for a refreshing Berry Mocktail. After a round of drinks on the 50th floor, we headed down to the restaurant on the 49th floor. The restaurant’s decor and interiors is very different from the lounge. The restaurant is very spacious. The ambience is royal, opulent, luxurious and romantic. Definitely, a kind of place to celebrate special occasions. Our long table was set up beautifully. I loved the long crystal candle holders. I would like to recommend the tables near the window to small groups so as to enjoy the stunning view. They also have a private dining space. We were totally in awe of Tre and wondering whether the food will match up with the grandeur of the place. Yes, the food was equally impressive. Their beverage menu offers finest of the Italian wines. I had a glass of red wine. We were served freshly baked bread with three kinds of dips. 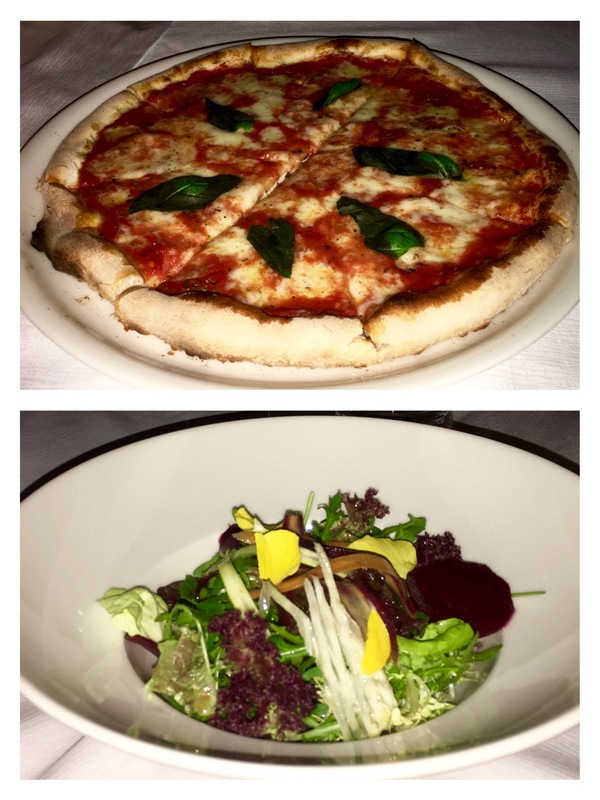 Next to arrive was the Margherita Pizza and Octopus Salad. As I am a vegetarian, they got me a veggie salad. The pizza was fresh and light with chewy mozzarella cheese. The salad was freshly made and sprinkled with balsamic vinegar. The next two dishes were a big hit with all of us. The Burrata was served with fresh tomatoes, semi dried figs and balsamic cream. It was creamy and tasty. 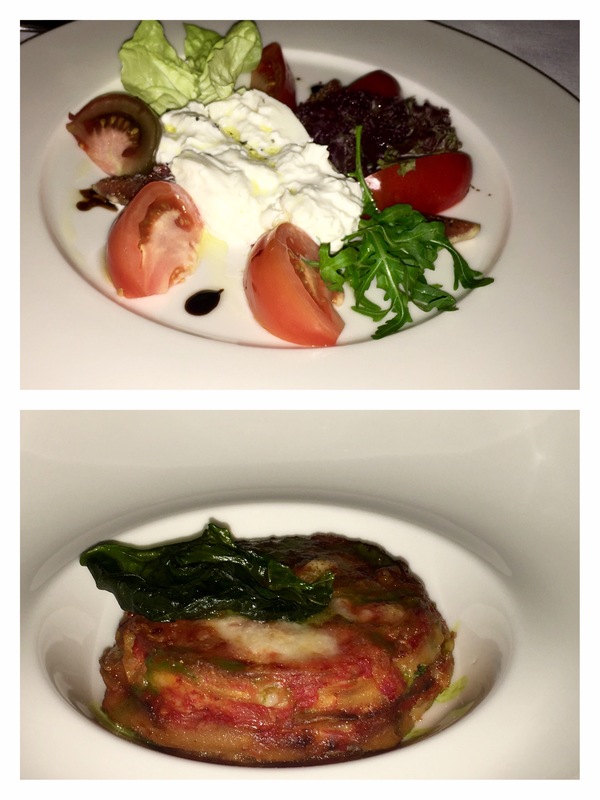 The eggplant Parmigiana was totally scrumptious. It is worth trying, can’t tell you how delicious it tasted. An Italian meal cannot be complete without pasta and risotto. I had Tortelli Tartufo, this pasta was made with ricotta and spinach ravioli in a white truffle sauce. It was so good, that I had to request them for a second helping. 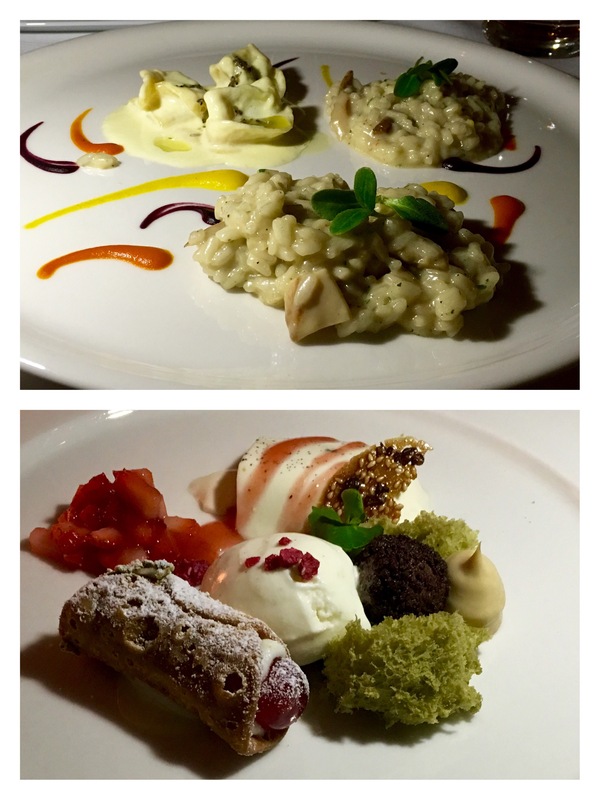 The risotto Langhe was very flavorful and delicious. It had the perfect combination of porcini mushroom, risotto rice, raschera cheese and truffle oil. All their pastas are homemade. It was time for our favorite part of the dinner: Desserts. We headed over to the Tre Bar on the 51st floor for desserts and traditional liquors. Tre Bar is smaller compared to the restaurant and lounge. The atmosphere is lively and energetic. They have live jazz music. The Tre bar is a place to relax, enjoy the music and drinks and take in the great view of Sheikh Zayed road. We were all served a dessert platter with small portions of various types of desserts like Panna Cotta, Strawberry Compote,Chocolate Mousse, Cannoli Siciliano, Green Tea Cake and Gelato. It was an incredible experience. As for me I am in love with Tre. What an amazing journey I had, exploring all the three floors. Each floor is unique in it’s own way. I totally recommend it and can’t wait to visit them again.